Monetize your community with paid ads. WPAdverts is a light-weight plugin which allows to build beautiful classifieds site in minutes. Running a classifieds site alone can be challenging. However, adding a classified ads to your existing community, fantastic idea! Communities revolving around specific topics, but not only, have an amazing potential to be monetized by their admins. If you have a community revolving around gardening and your members are actually proud garden owners, you give them the chance to buy / sell their plants, seeds, tools and whatever else they might need to get or get rid of. You as a Community Admin can charge your members for posting such ads. The integration plugin has been designed with, amongst others, one main goal: seamless integration of classified ads within PeepSo community. The design of ads and how they are displayed blends in fabulously with users’ profiles, ad posts on stream etc. This plugin requires at minimum both PeepSo Core and WPAdverts plugins to work. Monetize Your Community and earn real money. 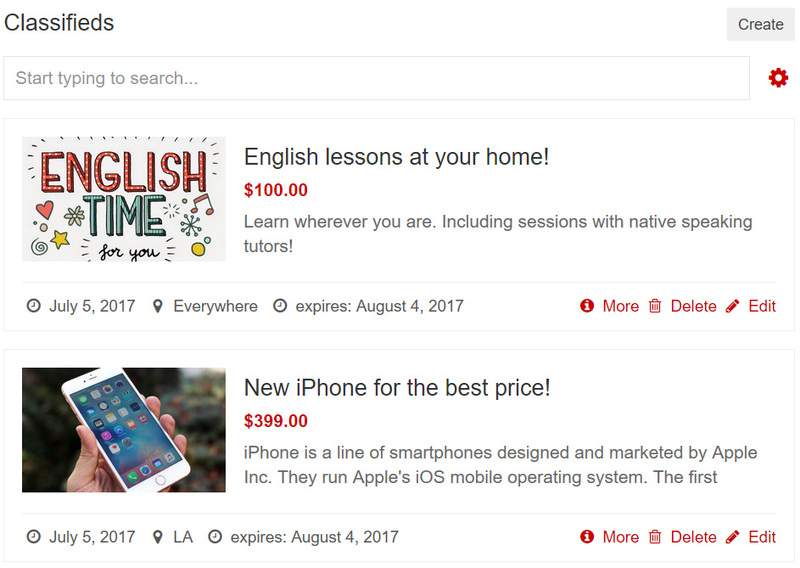 User’s Classified Ads are displayed in their profiles. Users can manage their classified ads right in their profiles. Navigation is added to User Profiles, PeepSo Toolbar and PeepSo Profile Widget. Users can create classified ads right in the community view. Full integration with all official WPAdverts addons like: Featured Ads etc. Automatic corresponding Status Update is created when user posts a Classified Ad. Once ad expires the post is removed from main PeepSo Activity Stream.